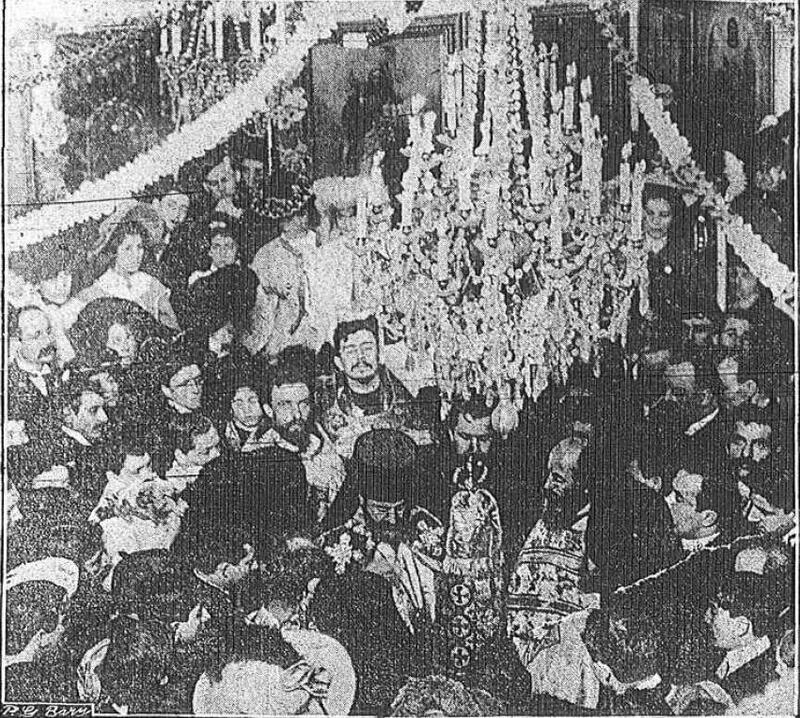 The Russian Holy Synod elected St. Raphael as Bishop of Brooklyn in 1903. In early 1904, St. Tikhon Bellavin, the Russian bishop in America, issued an ukase (decree) on the establishment of a Syro-Arab Vicariate under the Russian diocese. In the ukase, St. Tikhon instructed that the names of both Raphael and the Russian bishop be commemorated at the liturgical services in each Syro-Arab parish in America. Soon after that, the Russian Holy Synod issued a certificate of consecration to St. Raphael. [A]t first the writings of Bishop Raphael gave to the Patriarch of Antioch jurisdiction over the Syrian branch of the Orthodox Church in the United States, and later gave expression to language indicating that all the branches, including the Syrian branch, of the Greek Orthodox Church in America, were under the jurisdiction of the Holy Synod of Russia. In practice, as the writings of both Ss. Tikhon and Raphael suggest, St. Raphael was pretty much independent. Neither he nor his clergy were present at the famous All-American Sobor in Mayfield, Pa. in 1907. There’s no evidence that any Syro-Arab students attended the Russian seminary. [A] meeting was held of the Syrian priests who were present at the funeral, and a division of minds existed and was then expressed as to whether or not Raphael, as Bishop of Brooklyn, was subordinate to the Holy Synod of Russia or to the Patriarch of Antioch, and whether the successor of Raphael as Bishop of Brooklyn should be a Syrian, or whether he might be a Russian. That division, born pretty much the moment Raphael died, wasn’t fully healed for six decades. His flock divided into warring camps — the Russy, who pledged allegiance to Russia, and the Antacky, who preferred subordination to Antioch. To make matters worse, there was no obvious successor to Raphael, and the Russian leadership dragged their feet on choosing a bishop to replace him. It took two years for them to pick Bishop Aftimios Ofiesh as the new bishop for the Syro-Arabs, and Ofiesh was the wrong man for the job, anyway. Meanwhile, a visiting Antiochian bishop, Metropolitan Germanos Shehadi of Baalbek, was in America already on a fundraising tour when Raphael died. Metropolitan Germanos decided to stick around and try to start his own diocese, even though the Antiochian Holy Synod ordered him to return to Syria. Eventually, the Patriarchate of Antioch established its own, fully authorized archdiocese in 1924. St. Raphael came to America under the Russian Church, and he was consecrated by Russian bishops and received a consecration certificate from the Russian Holy Synod. At the same time, he was in close, regular contact with the Patriarchate of Antioch and told his people that his diocese was “a diocese of Antioch… notwithstanding its nominal allegiance to the Russian Holy Synod.” Given that ambiguity, it’s no surprise that St. Raphael’s flock divided into Russy and Antacky camps the moment he was gone.